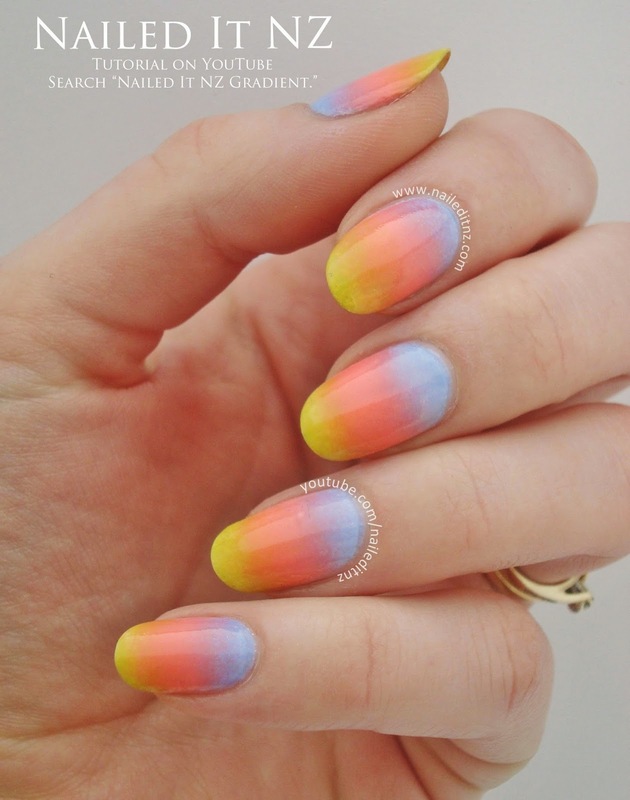 Ombre nail art is one of my long-term favourite looks - it's so flexible! Brights, neutrals, pinks, purples; they all look awesome blended together into this nail design. I made a tutorial for gradient/ombre nails last year some time, but it wasn't purely a gradient, plus it had two colours. If you want to check it out though, watch it here. It was time to recreate the look! 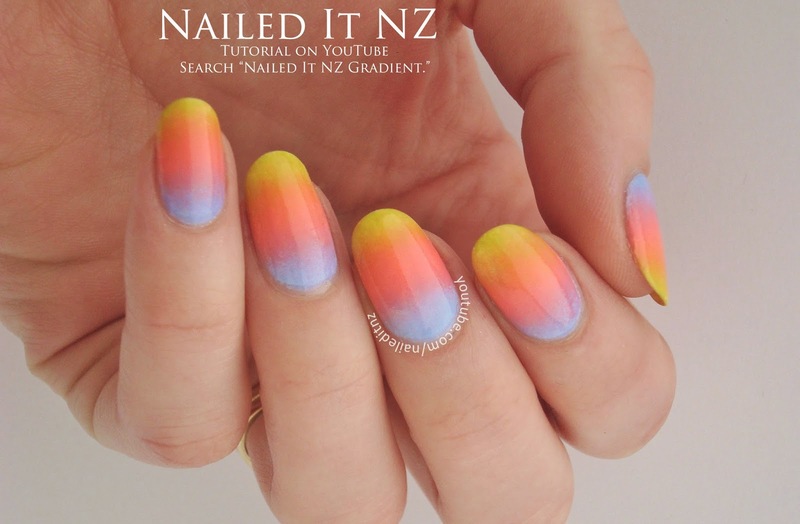 I've had a few requests for a gradient nail art tutorial, so here it is. Please subscribe to my channel! Here's a snap of both hand. 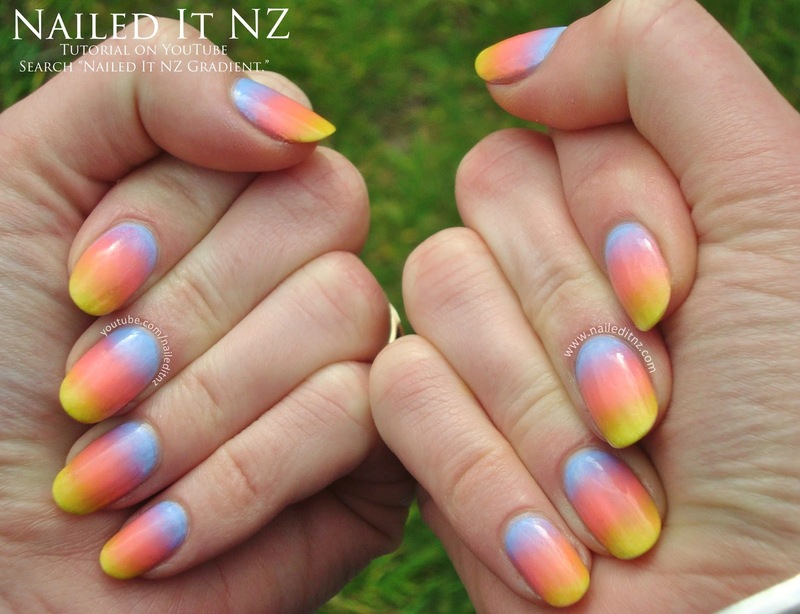 This sunset look looks so cute on your nails! I almost kept going - I naturally want to add more, more, more to my nails, but kept it simple for the sake of the tutorial. Hope you like today's tutorial! This is so pretty. I love how soft but bright these are too.